This page contains all the literature references for the fact pages about sleep. Boeve, B.F., Silber, M.H., & Ferman, T. J. (2004). “REM Sleep Behavior Disorder in Parkinson’s Disease and Dementia with Lewy Bodies.” Journal of Geriatric Psychiatry and Neurology 17, pp:146-157. Braun, A.R., Balkin, T.J., and Wesensten, N.L. (1998). “Dissociated pattern of activity in visual cortices and their projections during human rapid eye movement sleep”. Science, 279, pp: 91–95. Buysse, D. J. (2005). Introduction. In D. J. Buysse (Ed. ), Sleep Disorders and Psychiatry (Vol. 24, pp. 1-28). Washington, DC: American Psychiatric Publishing. Buysse, D. J., Germain, A., Moul, D., & Nofzinger, E. A. (2005). Insomnia. In D. J. Buysse (Ed. ), Sleep Disorders and Psychiatry (Vol. 24, pp. 29-75). Washington, DC: American Psychiatric Publishing. Dawson, D., Reid, K. (1997). “Fatigue, alcohol and performance impairment”. Nature 388 (6639), p: 235. Dijk, D.-J., Lockley, S. W. (2002). 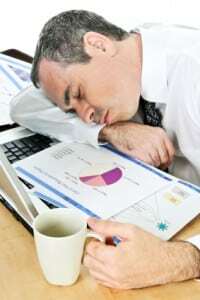 “Functional genomics of sleep and circadian rhythm invited review: Integration of human sleep-wake regulation and circadian rhythmicity.” Journal of applied physiology 92 (2), pp: 852-862. Giglio, P., Lane, J. T., Barkoukis, T. J., & Dumitru, I. (2007). “Sleep physiology”. In T. J. Barkoukis & A. Y. Avidan (Eds. ), Review of sleep medicine (2 ed., pp. 29-41). Philadelphia, PA: Elsevier. Feinberg, I., Jones, R., Walker J. M., Cavness, C., March, J. (1975). “Effects of high dosage delta-9-tetrahydrocannabinol on sleep patterns in man”. Clin Parmacol Ther. 17(4), pp: 458-66. Haney, M., Ward A. S., Comer, S. D., Foltin, R. W., & Fischman, M. W. (1999). “Abstinence symptoms following smoked marijuana in humans”. Psychopharmacology 141(4), pp:395-404. Harrison, C., & Britt, H. (2009). “Insomnia”. Australian Family Physician, 32, p. 283. Hobson, J.A., & McCarley, R. (1977). “The brain as a dream state generator: An activation-synthesis hypothesis of the dream process”. American Journal of Psychiatry, 134, pp: 1335–1348. Hong, C.H., Gillian, J.C., Dow, B.M., et al. (1995). “Localized and lateralized cerebral glucose metabolism associated with eye movements during REM sleep and wakefulness: a positron emission tomography (PET) study”. Sleep, 18, pp: 570–580. Kohyama, J. (1998). “Sleep as a window on the developing brain”. Current Problems in Pediatrics, 27, pp: 73–92. Krahn, L. E. (2007). Insomnia: Differential Pearls. In T. J. Barkoukis & A. Y. Avidan (Eds. ), Review of sleep medicine (2 ed., pp. 95-104). Philadelphia, PA: Elsevier. Lack, L. C., & Bootzin, R. R. (2003). Circadian rhythm factors in insomnia and their treatments. In M. J. Perlis & K. L. Lichstein (Eds. ), Treating sleep disorders: Principles and practice of behavioral sleep medicine (pp. 305-343). Hoboken, N. J.: Wiley. Lee-chiong, T. (2008). Sleep medicine: Essentials and review. Oxford University Press, USA. Lichstein, K. L., McCrae, C. S., & Wilson, N. M. (2003). Secondary insomnia: Diagnostic issues, cognitive-behavioral treatment, and future directions. In M. J. Perlis & K. L. Lichstein (Eds. ), Treating sleep disorders: Principles and practice of behavioral sleep medicine (pp. 286-304). Hoboken, N. J.: Wiley. Max, D. T. (2010). “The Secrets of Sleep”, National Geographic Magazine, May issue. Morin, C. M., & Espie, C. A. (2003). Insomnia: A clinical guide to assessment and treatment. New York: Kluwer. Rechtschaffen, A. (1998). “Current perspectives on the function of sleep”. Perspectives in Biological Medicine, 41, pp: 359–390. Smith, M. T., Smith, L. J., Nowakowski, S., & Perlis, M. L. (2003). Primary insomnia: Diagnostic issues, treatment, and future directions. In M. J. Perlis & K. L. Lichstein (Eds. ), Treating sleep disorders: Principles and practice of behavioral sleep medicine (pp. 214-261). Hoboken, N. J.: Wiley. Williamson, A. M., Feyer, A. M. (2000). “Moderate sleep deprivation produces impairments in cognitive and motor performance equivalent to legally prescribed levels of alcohol intoxication”. Occupational and Environmental Medicine 57 (10), pp: 649–55.